Hello my friends, how are you?? Summer is almost over, leaves are turning flaming colors, the air is a bit cooler and a new season is here. Whenever this happens I am happy because I love fall and at the same time I feel a hint of melancholy, saying goodbye to the warm sun. Now… how does this melancholy feel in my body? These feelings are very familiar to me, I used to call them depression. Thanks to some people and wisdom in my life, I learned about a kinder way to talk and think about it. The last few years, I have been immersed into Human Design which taught me that all these feelings and states of mind are mechanical energies that just happen. Sometimes its due to life circumstances, or planetary energies that activate certain energies, sometimes it´s the energy of other people. When I found out that I have lots of energies, that are actually melancholic, but at the same time very creative, I thought ok, what can I do with this insight? 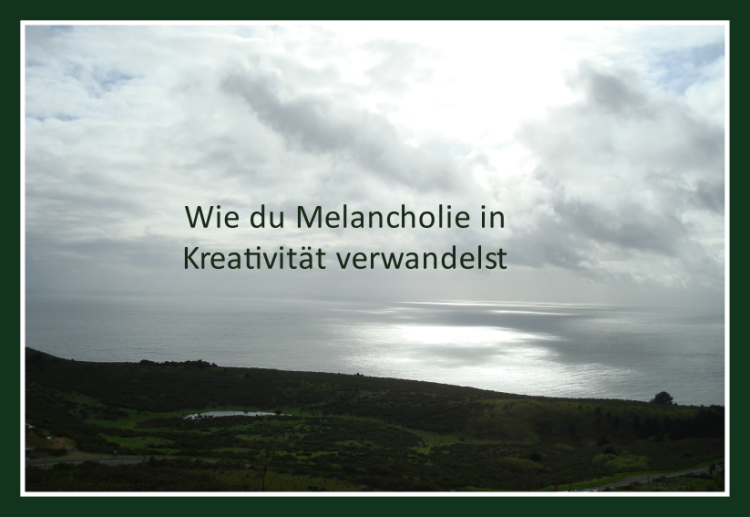 The answer was: melancholic states are great times to be creative. What a great time to write poetry, write into a journal, write a book, paint a picture, create a collage, plant flowers, try a new recipe, make a beautiful table arrangement, or whatever your creative muse wants to do. The trick is to actually do it….Somehow human beings are strange and that includes me too. You know what would be good for you, but you avoid doing it. Sounds familiar? I did all of those things… 10 years ago I stopped watching TV, quit drinking, quit immersing myself into drama… but I still have my ways of avoiding to meet my creative muse. I bought myself a good speaker to fill my space with beautiful music. I always collect materials, to have everything ready to create collages when the creativity calls. Sometimes I take my journal to the park, sit on the grass or a bench and start writing, which at one point might morph into a book about my crazy life. The most important lesson in all this is to make a choice: To get depressed… or to do things that will actually help the energy to move through your body. Do something creative and as a bonus, you might be left with a beautiful piece of art. 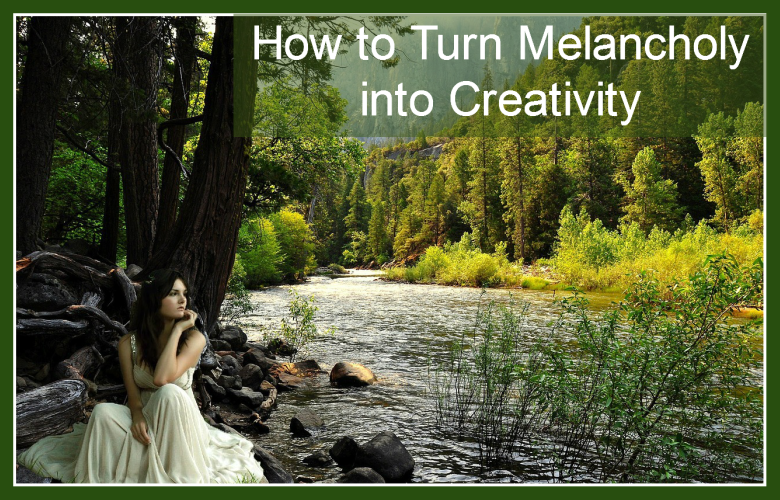 What is your experience with melancholy and creativity? What do you do when you are sad? Please share it with us and leave a comment. Are YOU here, because you are one of the fortunate beings who found your life purpose…… or you're still searching for it? So many people are looking for a life purpose, 44000 monthly searches for life purpose on google……with 200 million results. Indeed a BIG question, maybe the biggest question in life. What does it actually mean to live your life purpose? What does it mean for YOU? To do the work you love to do? To make good money with work you enjoy? To express your deep self? Travel to all the places you want to see? Have great relationships with family and friends? To live a great life and be of service to others? To be happy and healthy? To do the work I love to do, to help other people live a fulfilling life, while having the freedom to work anywhere in the world. That’s mine and I am so pleased to say that I am there…… I am living it. Now wait………..it did not happen overnight, it took 10 years. So how did I start? I started with a question to the universe: Please help me find something that makes me happy, let’s me be of service and gives me financial freedom. Besides asking this question… I took some action steps. Unfortunately, even with the law of attraction, just sitting on the sofa will not work, sorry. Practice being creative just for the heck of it. Did a lot of healing work, including some crazy things. One more piece, that’s very important…Not only did I have to learn new things and skills. I also had to become willing to get out of my comfort zone, to overcome my fear of being visible and standing out…… and that was hard. It took lots of practice and to be honest… the fear is still there but it does not paralyze me any more. Being ok with failing was another key element that I had to practice. 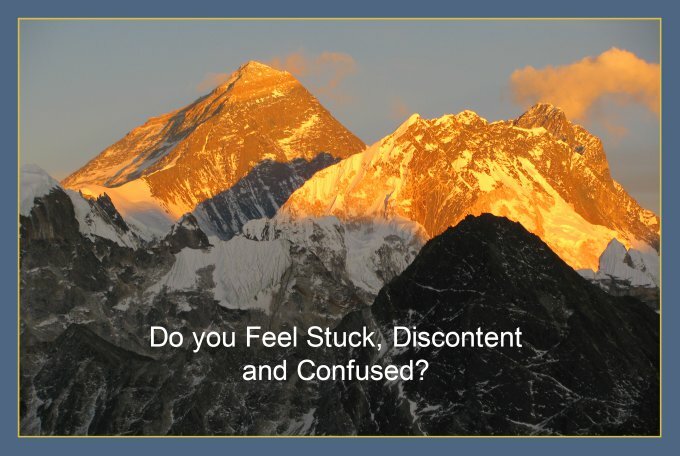 Growing up in a world where one was expected to get it right… was and is not an easy task, can YOU relate? Somehow one thing lead to the next…..one person lead to the next person…. one teacher lead to the next,……one program to the next. It was like a miraculous, unconscious map…. it came together like a puzzle. I had no clue where I was going, but I had a feeling I was going into the right direction. Yes, I know it’s not very logical, but it’s not a logical process, the main ingredient is learning to trust and be aware of the next invitation to act. Yes, I made a wrong turn too, by getting my real estate licence and working as an agent for 4 years, right at the time when the market had crashed. That was hopefully my last example of going for something that was kind of a good idea and practical, which is what my mind told me…. but not fulfilling to my spirit. 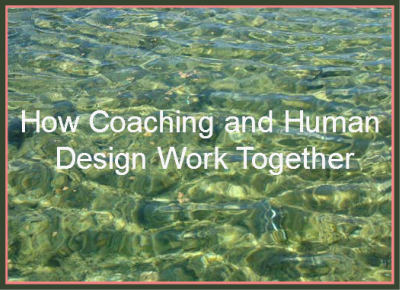 A while ago I was introduced to Human Design and it totally fascinated me as another coaching tool. I immersed myself into learning and using it im my own life. It still amazes me how powerful it can be to help clients find their uniqueness, live their true nature and their life purpose. The excitement never ends, there is always something new to learn. 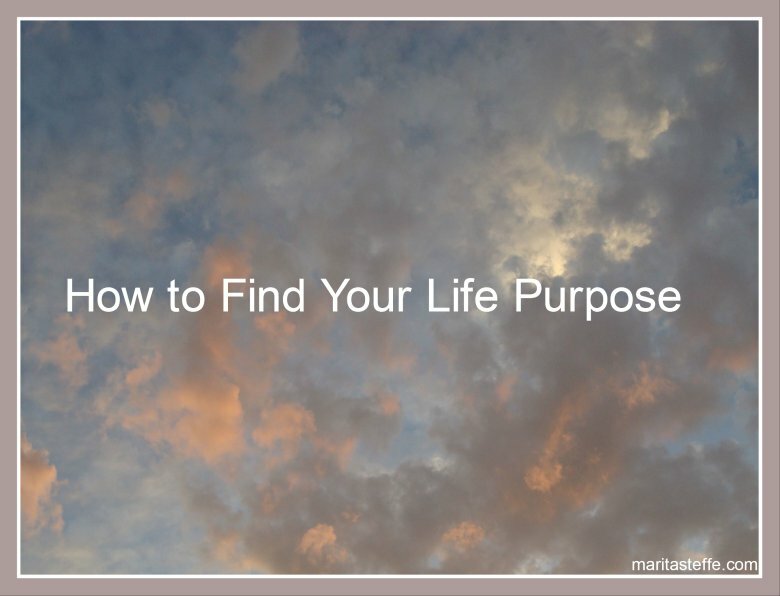 Let me know, where you are in the process of finding your life purpose. I love to read your comments.